Putting the client first, Industry 4.0 guarantees better products, more efficient production methods and bespoke industrial services. 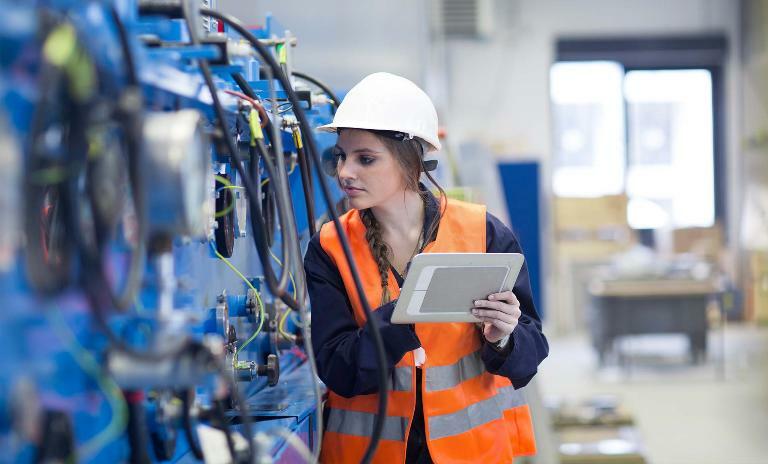 The comprehensive interconnection of processes in production, logistics and services is a huge issue at practically every large manufacturer in Europe. In the US and Asia, too, it is the definitive changing force of the era. Cyber-physical systems might form the basis of the next industrial revolution. Its influence is trickling down through every sector of industry and the wider economy. Industry 4. is already changing the landscape of competition with far-reaching consequences for the workforce and infrastructure as a whole. In a nutshell, Industry 4.0 is nothing more than a fully integrated, value creation system – with huge impact on Return On Capital Employed (ROCE) for both industry and nation states. 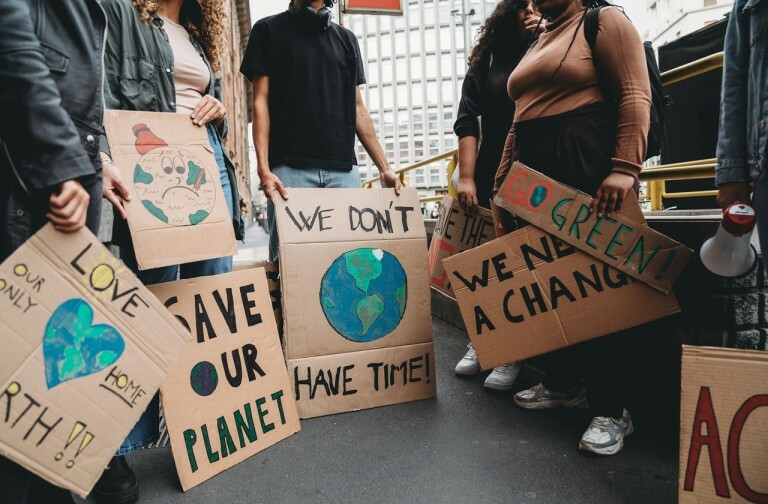 For the first time such concepts as cyber security, big data and advanced manufacturing can all be brought under one virtual roof to satisfy the mass customization demands of society, reap the benefits of the internet revolution and perhaps most importantly finally begin to take the word sustainability seriously and treat resources with more respect. The path ahead however is littered with obstacles and achieving this land of digital milk and honey will be anything but easy. Lot-size-one production at cost of mass products will change consumer behaviour. Industry 4.0 will change our work environment: Some jobs will be lost, but up to seven million new ones will be added in services and IT alone. First wave: Automobile manufacturers and their suppliers as well as logistics industries have started their digital transformation by initiating a number of major programs. Second wave: will hit the medical technology sector, electrical engineering, mechanical and plant engineering as well as energy systems. Third wave: will affect the chemical and aerospace industries slightly delayed. There is a key question underlying these developments and it is this: Who wins, who loses? The industrial heavyweight or the software dynamo? New business models are emerging and entire industry sectors re-inventing themselves. Accordingly, each company must individually review its own business model in the digital world: identify possible disruptive changes and review the organization's digital competency. Industrial companies should examine selective cooperations, as global digital competition calls for a joint approach. In the short term, there is invariably carnage, but once the frenzy is over, the realization will set in that industrial and digital will work far more closely than ever before. The secret is to know where to begin. Industry 4.0 is often confused with automation and while the latter improves process efficiency, it also ties up huge amounts of capital. Industry 4.0 provides the framework for efficient capital employment, levering ROCE benefits of up to 40 per cent and improving machine productivity from 65 to 90 per cent. Our current study in Industry 4.0 takes a global perspective but highlights significant, potential benefits for Western Europe. While job losses will be unavoidable in the short term, up to seven million new jobs will be added to the labour market in services and IT alone. How exactly can companies prepare for these waves and face the digital transformation head-on to achieve the best possible results and avoid losing out? How can they implement a proper strategy within their organization and across companies to defend their competitive edge? There are numerous aspects to Industry 4.0. They range from the definition of roles and responsibilities in the organization over reinvesting in innovation to regular updates of cyber-security measures. Generally speaking, these are the four levers of digitization, the areas affected most. 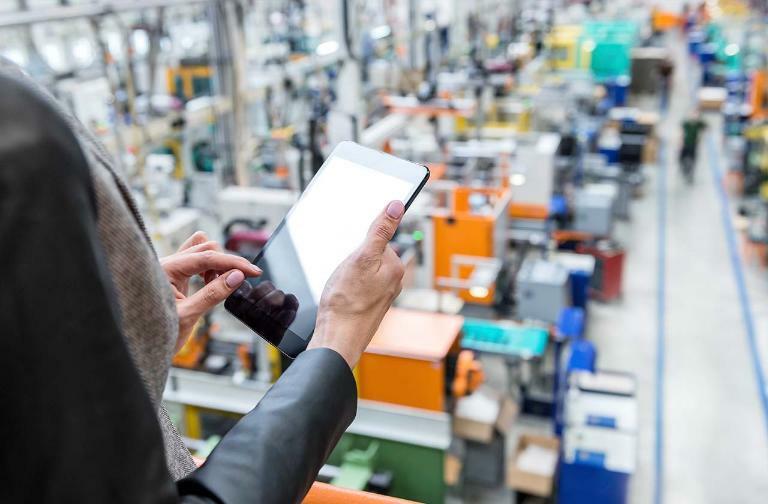 Generated by connected machines and mobile devices as well as by customer interfaces, digital data ensures new areas of application like optimizations on the shop floor. Artificial intelligence is on the rise; robots and machines work hand in hand with human beings in more and more areas, especially those requesting the intelligent processing of information. A networked economy powered by smart devices allows for an improved synchronization of processes and real-time reaction as well as acceleration of innovation. New intermediaries and data gatherers know customers almost better than they know themselves enabling them to offer full transparency and new kinds of services. Profit from our "Core Group Industrie 4.0"
For the best of our clients, we invest a lot of time and effort to cover numerous aspects of Industry 4.0. In our "Core Group Industry 4.0" of Partners and consultants, we have been regularly exchanging our project experience and latest systematic research on the various topics for years now - be it best practice examples, Industry 4.0 for technological enablers or for users, categorizing competitors, analyzing new potential for additive manufacturing or cloud based business models. Industry 4.0 solutions develop as a symbiosis between classical production technologies and new IT technologies. We understand both worlds. This has always given us a competitive edge. Industry 4.0 is one of the core consulting competences of Roland Berger. The renaissance of the U.S. automotive industry. BMW is on a roll. They have radically embraced “end of ownership” with their Drive Now subsidiary and just to rub it in they launched the i range of electrical vehicles. 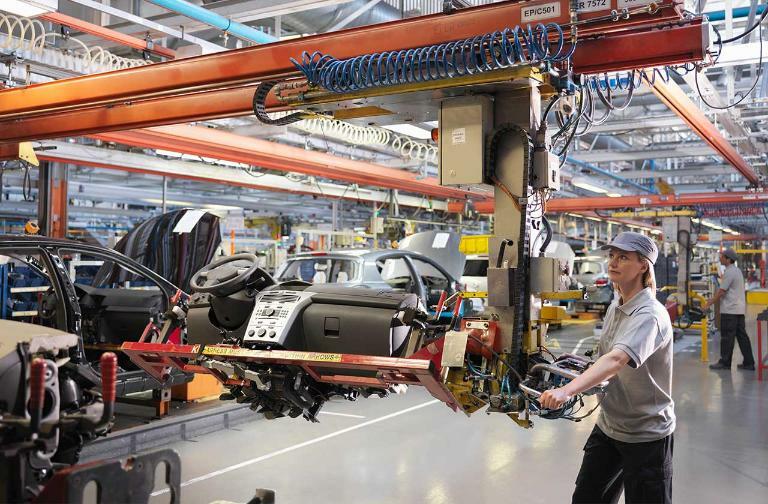 Behind the scenes however there are even bigger changes ahead with BMW wholeheartedly embracing Industry 4.0. Harald Krüger, CEO of the BMW Group, talks about the promise of Industry 4.0. Note: The interview with Harald Krüger was conducted, when he still was Chief Production Officer at BMW Group and designated CEO. 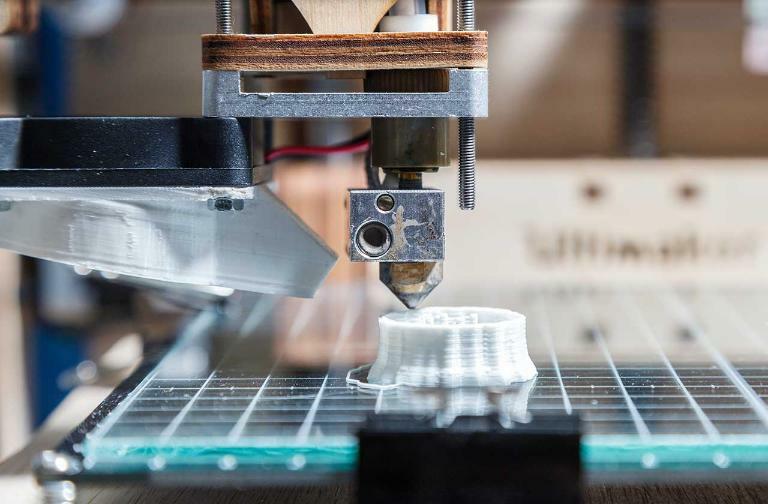 Countless science fiction epics from Dark Star to the TV hit “The 100” reveal a future in which in which 3D printing or more correctly additive manufacturing, (AM) is as self-explanatory as cleaning your teeth. The idea of calling up the equivalent of NASA to send a replacement interstellar drive for your disabled spaceship via FedEx is absurd. In space, DIY is the order of the day and not just because that’s the only business model that is going to work on the other side of Mars. Meanwhile back on Earth additive manufacturing has got beyond the initial hype of 2013 and is starting to carve out its very own niche on the back of Industrie 4.0. OK. Ready for New Speak? Here it goes: Industry 4.0 is an industrial ecosystem, which among everything else is forcing a change in the role of people in the industrial value chain. In Old Speak the message is: Industry 4.0 will destroy jobs in the long term. There we said it. The good news is that the paradigm shift to industry means the cards will be reshuffled on all levels…. ( OK - for Old Speakers there are more jobs coming). It is crucial for companies to develop new skills and acquire new tools in order to be able to leverage Industrie 4.0 properly. For all the risks it poses to labour markets, Industry 4.0 gives us the chance to keep industrial value creation in Europe. Walk this way. Who will be in charge of production? Industry 4.0: We help you to develop new skills and tools.